Whether your goal is to be a career pilot or if you just want to fly for fun, each student pilot begins with the Private Pilot Course, which permits you to carry passengers. By FAA regulation, private pilots may not operate an aircraft for compensation or hire, although operating expenses may be shared with passengers. 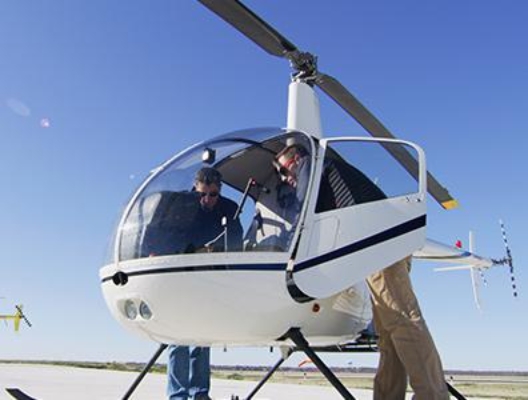 The Private Helicopter Pilot Course will familiarize the student with the helicopter, flight controls and their flight characteristics, the flight environment and a multitude of maneuvers learned over the course of instruction. At the end of the Private Helicopter Pilot Course, you will have acquired the aeronautical knowledge and flight proficiency necessary to be a rated helicopter pilot. For an in-depth look at the syllabus and training environment, we invite you to tour the Flight Training Academy. No previous flight experience is required. * Students may train at an earlier age, but can not be a licensed pilot until the age of 17. The minimum age to fly a helicopter in solo flight is 16. Hours are based on Part 141 FAA minimums, not average completion times. Rates listed for the R-22 are block rates, available when customer chooses cash deposit option of $3,000 deposit increments. Add $10/hr for regular rate on R-22 aircraft rental if not choosing block payments. Prices for books & supplies, the knowledge test, the FAA’s practical test and your medical certificate may vary. R-22 students should be under 220 lbs flight weight. R-44 students must be under 300 lbs flight weight. My experience at Epic has been extremely enjoyable. The instructors are easy to work with and are very accommodating to my learning style. 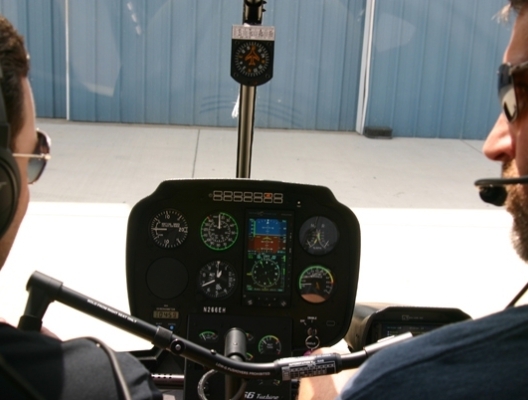 Casey D.
What are the FAA's Flight Training Requirements for Private Helicopter Pilots? 3 hours of flight training within 60 days before your "check ride"
How Long Does the Private Helicopter Pilot Course Take? 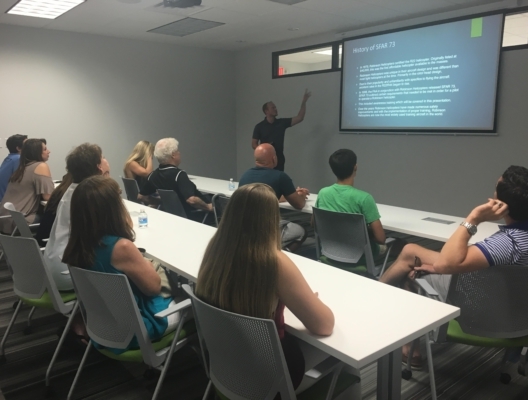 We understand you may have other commitments, which is why Epic offers a fully customizable training schedule. We stress the importance of being committed to the program and recommend a minimum 2 lessons per week. Any less and you may find that previous lessons need to be relearned before advancing through the syllabus. This can translate into higher training costs. If you prefer more structure, you may schedule the helicopter and your instructor months in advance. Depending on your frequency of visits, the Private Pilot program can take as little as 8 weeks in some cases. As a student pilot, you must obtain a medical certificate before your first solo flight. On your first day at the flight academy, your instructor will explain where and how to get your medical certificate. Any medical concerns or questions should be directed to the examiner you will visit with. Is Money Due When I Sign-Up? Epic does not require course payment in full. We allow our students the flexibility of paying as they go, although a positive account balance must be maintained. A student qualifies for the discounted block rate when cash deposits on account are made in $3,000 increments. What Payment Options Does Epic Offer? There is no minimum balance required to start your training, only sufficient funds to cover your lesson to keep your account balance positive. You have the option to pay as you go, place money on account to take advantage of the discounted block rate, or work with our lender to provide you with a student loan. Payment is accepted in the following forms: cash, check, any major credit card or funding from a financial institution, however, only cash and check payments qualify for the block rate discount. You will want to schedule a Discovery Flight to gauge your level of interest in helicopter flight.